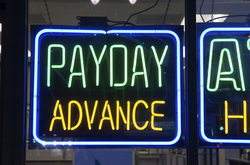 Payday loans are an abusive form of lending that traps cash-strapped borrowers into a long-term cycle of debt. Payday loans carry astronomical rates; with fees and interest they generally are over 300% annually for traditional two-week loans and over 200% annually for longer term loans. Lenders make these loans without regard to a borrower’s ability to repay because lenders obtain access to the borrower’s bank account. They stand first in line for repayment on the borrower’s payday, leaving the borrower short on cash for other obligations. Payday loans are debt traps by design. Borrowers get trapped in a cycle of repeat borrowing, causing them to fall behind on other bills, delay medical care, overdraft and lose their bank accounts, and file bankruptcy. Thankfully, Pennsylvania has one of the strongest laws in the country to protect borrowers against predatory payday loans, even when made online. It protects against the traditional balloon payment payday loans as well as the long-term loans that payday lenders peddle in states where they are legal. But now, out-of-state payday lenders are working to weaken our law so they can flood Pennsylvania with 1,000 storefronts peddling loans that were so harmful to our nation's soldiers that President George Bush signed a law to prohibit them from being made to military families. For the past six years, groups representing millions of Pennsylvanians have been speaking out to oppose predatory payday lending and keep Pennsylvania's strong laws in place. Click here to join our efforts to keep predatory payday lending out of the state. Pennsylvania War Veterans Council, Inc.
A fast-moving, late-dropped bill that would allow payday lenders to evade our state interest rate cap had been scheduled for a vote before the House Commerce Committee on June 20th. The bill, HB 2429, is yet another sneak attack to make high-cost predatory loans in PA.
Inquirer Editorial: How about harm reduction for the poor? Pennsylvania groups applaud the CFPB for recognizing the devastating harm caused by predatory payday lending, and for affirming that state interest rate caps, like we have in PA, are the best way to protect people from abusive lending practices. Statement available here. The payday lenders were back in Harrisburg. The memo cites current Consumer Financial Protection Bureau (CFPB) proposals as a model for the legislation, as well as a recent study by the Pew Charitable Trust as evidence of the need for these loans. The problem? Pennsylvania already has one of the strongest payday lending laws in the country. Since the CFPB cannot set interest rate caps, changing our law by adopting the CFPB rule in Pennsylvania will weaken it. In fact, the same Pew Charitable Trusts study cited in the co-sponsorship memo says that states like Pennsylvania should keep their strong laws on the books. The bill that was filed, SB 1379, would have legalized long-term predatory payday loans. After quick action by faith groups and military veterans and others, the bill did not pass last session.